Monica Raye Simpson, Executive Director of Sister Song, a queer, black, NC native, has organized extensively against human rights abuse, the prison industry, racism, and systemic violence against Southern black women and LBGTQ people. A proud graduate of the historically black Johnson C. Smith University, she earned a bachelor’s in Communications and organized for LGBTQ rights on and off campus. She then became the Operations Director and the first person of color at the Charlotte Lesbian & Gay Community Center. Next, she trained black youth in activism, philanthropy, and fundraising as the Ujamaa Coordinator for Grassroots Leadership. In 2010, she moved to GA to be our Development Coordinator; she was promoted to Deputy Coordinator in 2011, Interim Executive Director in 2012, and Executive Director in 2013. Monica is a nationally sought-after facilitator, speaker, and organizer, constantly called upon to travel the country for appearances. She is the only woman among the 4 founders of Charlotte, NC's Black Gay Pride Celebration, the first in the Bible Belt, which received awards from the National Black Justice Coalition and the Human Rights Coalition for its incredible launch with 7,000 participants. She has been featured in many publications for her activism, and has written many articles on LGBTQ issues, RJ, over-policing of black/brown communities, philanthropy, and Southern activism. In 2014 she was named a New Civil Rights Leader by Essence Magazine, and in 2015 was chosen as a panelist for the Women of the World Summit. Also a full circle doula certified through the International Center for Traditional Childbirth, she serves on the boards of the Fund for Southern Communities and the legendary Highlander Center. Paula X. Rojas is a community organizer, licensed midwife and social justice trainer. Born in Chile, then growing up in Houston, TX, she spent over a decade working as an organizer in Brooklyn, NY before returning to TX in 2008. For over 25 years, she has worked on issues of gender violence, racial justice, women’s reproductive health, childcare access, health care access and community alternatives to policing. Rojas co-founded a number of community-based organizations working at the intersections of race, class and gender including Sista II Sista, Pachamama, Mamas of Color Rising, Mama Sana Vibrant Woman, Refugio: Center for Community Organizing and the New York Organizing Support Center. As a result of her own challenges experienced while pregnant on Medicaid, Paula became a doula and then a licensed midwife in 2014. In 2012 she co-founded Mama Sana Vibrant Woman and developed a model that integrates cultural congruence, midwifery and community organizing in order to put a more just and loving maternal health model into practice. Paula is a contributor to the INCITE! collections: The Color of Violence and The Revolution Will Not Be Funded: Beyond the Non-Profit Industrial Complex. She co-authored the recent report by the National Perinatal Taskforce: Building a Movement to Birth a More Just and Loving World, that lays out local models and national recommendations to address the current crisis in maternal and infant mortality in communities of color in the U.S. She is the mother of two amazing kids, Xue-li and Camino, and loves to dance! Micaela Lara Cadena is a chicana New Mexican from a family/chosen family of resilient mujeres in the Mesilla Valley. Micaela is the Research Director at Young Women United (YWU), an organization that leads policy change, research, place-based organizing, and culture shift by and for women and people of color in New Mexico. For many years, Micaela has worked to improve access to pregnancy related care that New Mexicans may need over their lives, including perinatal care for pregnant people in cycles of substance use and addiction and midwifery care as a respectful model that can positively impact disparities in health outcomes within our communities. Previously, Micaela worked at the New Mexico Corrections Department as the Bureau Chief of Recidivism Reduction. With the intention of better identifying and serving the risks and needs of women and people in NMCD custody, Micaela worked to build feasible strategies for making the New Mexico prison system gender-responsive, trauma-informed and evidenced-based. Micaela was also responsible for implementing a state law passed in 2015, Medicaid for Incarcerated Individuals, that mandated the Corrections Department to determine Medicaid eligibility of inmates prior to their release from prison. In 2018, Micaela was elected to serve as a State Representative (District 33) in the New Mexico House of Representatives. Brenda Blasingame is Executive Director of Health ConnectOne. HealthConnect One is best known for their Community Based Doula model that has been nationally replicated, their leadership in the development of a Peer to Peer Lactation/Breastfeeding approaches as well as supporting and training of Community Health Workers. She has served over 20 years in the public and non-profit sectors at the local, state, and national levels leading organizations and teams towards a common vision and through her work has demonstrated a deep commitment to issues of equity, diversity and inclusion. Brenda served as the Senior Director of Programs and Partnerships for Save the Children U.S., overseeing the U.S. portfolio of education and psychosocial programs in approximately 16 states and serving as a member of the organization’s U.S. programs’ senior leadership team. During her tenure at Save the Children, she was responsible for leading the development of a community engagement approach to create a place-based community continuum for children and families pre-natal through 3rd grade focused on literacy, safety and resiliency. Prior to joining Save the Children in 2012, Brenda was the Director of Programs at Thrive Washington, where she implemented two early learning demonstration communities, in partnership with the Gates Foundation and working with other national partners such as the W.K. Kellogg Foundation and the Ounce of Prevention Fund. Brenda also served as the Executive Director of First 5 Contra Costa (California) from 2000-2005, where she founded and led the development of a comprehensive set of early childhood development programs, services and activities for children 5 years of age and younger and their families living in marginalized communities. Rebecca is the founding, owner and director of Roots Community Birth Center in Minneapolis, Minnesota. She has a passion for creating a safe space for all birthing families. 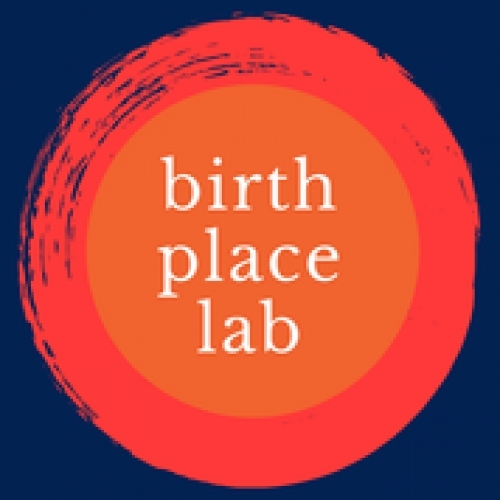 She is the community partner lead for a Robert Woods Johnson research project on understanding ways to reduce racial inequities in birth outcomes, co-led by Rachel Hardeman, Ph.D., M.P.H., and Katy Kozhimannil, Ph.D., M.P.A., researchers and professors with the School of Public Health. This is a fully interactive, structured meeting following the internationally acclaimed Future Search process for transdisciplinary dialogue when addressing "wicked problems". The Future Search model for co-creation requires narrowing the focus on the goals of the meeting when identifying stakeholder groups, and when nominating delegates. In this case the goals are to "address our shared responsibility to equity, safety, and respect". The Planning team nominated delegates from 12 stakeholder perspectives: consumers, community health, service providers, consumer advocates, innovative models of care, national health systems, human rights/law, professional/regulatory associations, payment reform, health professional educators, health systems administration, and quality and safety improvement, as well as key partners to effect implementation: including funders, legislators, and researchers. Confirmed delegates include leaders from the major maternity care organizations; community health leaders; innovative practice models from around the country; researchers, legislators, public health, hospital administration as well as consumers and educators – in short decision makers and service users across the "whole system". We are offering this exciting opportunity to join the delegates on Monday, April 1, as they learn from their colleagues about the realities of the lived experience of care, new findings from person-centered research, policy implications, and models for service delivery that are transforming quality of care across the country….